The age-old art of sorghum-making is celebrated each fall in Wewoka at the community’s annual Sorghum Festival. The Festival was founded in 1976 as a joint effort of the Wewoka Rotary Club and Seminole Nation Museum. This award-winning event has become one of Oklahoma's premier attractions, drawing thousands of visitors each year from across the U.S. and abroad to Wewoka on the fourth Saturday in October. Historic re-enactors, Native American foods, children’s crafts, live music and entertainment, as well as pioneer and Native American living demonstrations are to be found on the Seminole Nation Museum grounds – the heart of the Festival. Antique farm implements, a tractor show and other agricultural implements are also on display. 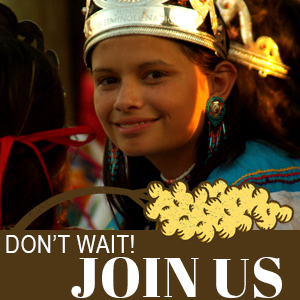 Visitors can meet guest artists and craftsmen, watch the making of the sorghum or just sit back and enjoy a hot Indian Fry Bread topped with sweet sorghum – a Festival favorite! Downtown, the Wewoka Chamber of Commerce offers a myriad of exciting events including a parade, car and motorcycle show, art and photography show, vendors and the John Lively Memorial 5-K Run. Scanning the area newspapers in the fall of 1976, the casual reader wouldn’t find much mention of the first Wewoka Sorghum Festival. Even the most attentive reader would be hard-pressed to discover more than the occasional reference to the forthcoming festivities. 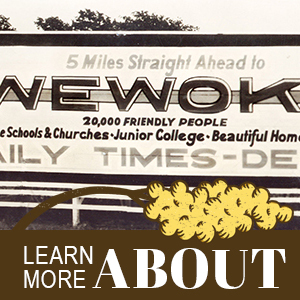 If you had an interest in the newly formed “Seminole Nation Historical Society,” you might have caught a three-sentence blurb buried deep in the Sunday edition of the Wewoka Daily Times on Sept. 29. The article noted that Oct. 2 had been set aside by the Museum as the official date for the celebration but made no mention of it becoming an annual event. Most humbling of all, however, was the meager attention after the event. In fact the only follow-up coverage was extended to Jake and Jesse, the mules that turned the mill! How things have changed! Three decades later the Wewoka Sorghum Festival has evolved to become one of the most anticipated rural festivals in Oklahoma. Now firmly situated on the fourth Saturday in October, attracting publicity as well as a crowd is no longer an issue. It’s not just tourism we attract, though. Along the way we’ve won a few awards and garnered quite a bit of attention for our community. In addition to being featured on television news such as Discover Oklahoma, Sorghum Day has also been highlighted by regional magazines such as “Country Life” and “Oklahoma Today.” The Festival has also been honored with a Redbud Award by the Oklahoma Tourism & Recreation Department for being one of the best events in the state. Sorghum Day also contributed to Frontier Country Marketing Association choosing Wewoka as their “Tourism City of the Year” in 2003. Not bad for an event that started on an initial investment of $100. It was Rotarian Paul Dodd that purchased the mill back in the fall of 1975. He wanted to contribute something to the newly opened Seminole Nation Museum and was considering a buggy. As Dodd said, “All of them were gone, so I offered to give them a mill I had heard of.” Dodd purchased the then 75- year-old mill from Wewokan Otis Wall for $100. Dr. Claude Knight, also a Rotarian and a co-founder of the Museum, suggested that the mill be refurbished and used to demonstrate the production of molasses. In October of the following year the Museum and Rotary Club made that very thing happen, and a little over 40 gallons of syrup was sold. 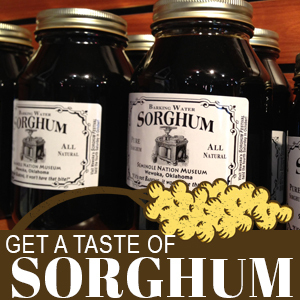 Today, the Museum still oversees the production of the sorghum and currently sells upwards of 400 gallons of the sweetener as its major annual fundraiser. Thanks to the tireless efforts of many local individuals, each autumn brings a new crop of sorghum and a new and larger crowd to our hometown, exceeding the greatest expectations of the Festival's humble beginnings. As always the cane is planted in the spring, not to be harvested until "it's just right" and "high as an elephant's eye," ready in late October. The cane was originally grown by the late James Harrod, but currently that duty falls to Wewokan Dan Houser. Houser, whose father Clifton fed the mill with cane for over a quarter of a century, took over growing the cane when Harrod retired several seasons ago. The "Sorghum Patch," as it has affectionately come to be known, is now located just north of Wewoka on land provided by the Jearl Smart family. Good irrigation, quality soil and hard labor have been producing an excellent crop the last few years. Since the late 1980s the Wewoka Chamber of Commerce has worked to shape Sorghum Day into the modern festival we know today. Building on the foundation established by the Museum and Rotary Club, the Chamber has created new events and attractions to broaden the appeal of the Festival and opened the experience to new generations of visitors. The parade, banquet, car show, golf tournament, pageant, craft booths and 5-K run are all programs run by the Wewoka Chamber. In addition to these duties the Chamber also works to market and promote the Festival on a regional and national level. The diligent work of the Chamber has not only served to grow the Festival, it has ensured the event a strong and viable future. 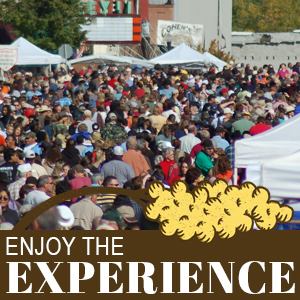 Looking back over the last three decades, the community of Wewoka takes pride in what the Sorghum Festival has become. The small event that some thought would never be successful, or was too labor intensive to be practical, has endured and evolved. The $100 investment that Paul Dodd made on an autumn weekend in 1975 has grown and flourished through hard work and the spirit of volunteerism. The Festival, much like the cane it celebrates, has a strong and lasting future in the hands of the new generation of caretakers.